Collies are a tradition in our family. 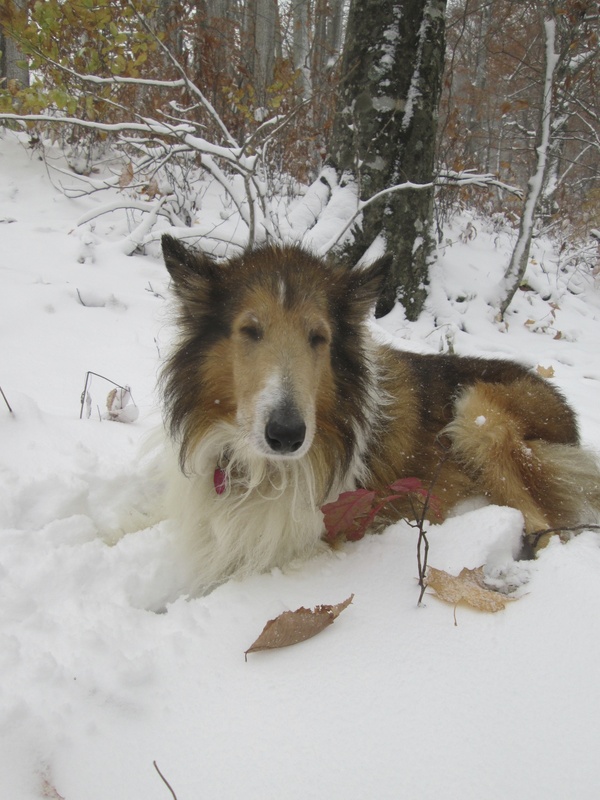 Chippy (6) pictured above is the sixth collie named by that name, the first came to us in the 1950’s. This Chippy is the most obedient and loving collie that we’ve ever had. He has NEVER had an attitude other than wanting to please and he is so easily contented. One smile in his direction makes him delirious with joy. Hard to imagine that I was considering putting him to sleep just a month ago. He was in so much pain and I could do nothing to relieve him. 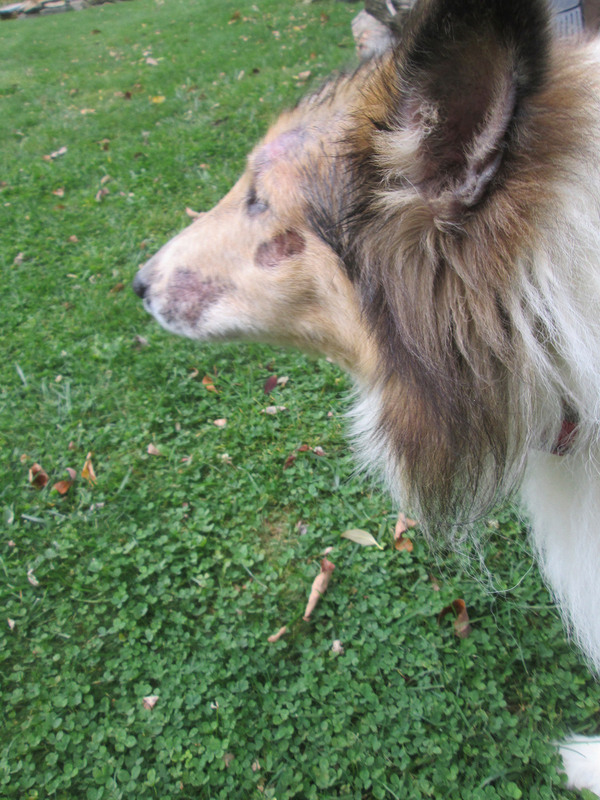 Chip has always had skin issues and allergies, constantly itching, biting, scratching, and ripping out huge chunks of hair, bleeding sores would get easily infected. No one wanted to be around him because he would rub his itchy face on anyone near at hand. Not fun. Below are some of the things I have done over the years to help Chip with his allergies. We have spent an enormous amount of money going to various vet naturopaths and allopaths. I changed his diet to be grain free and anti inflammatory, tried baths and healing herbs. All of it works to some degree but it is time consuming and time is something I am short of. With my mother needing full time help….taking care of Chippy’s issues was getting too much to handle. Life has been overwhelming to say the least. In a last ditch effort to help Chippy, my beloved friend and fellow caregiver to my ailing mother, Cheryl, and I took a class on healing pets with essential oils. 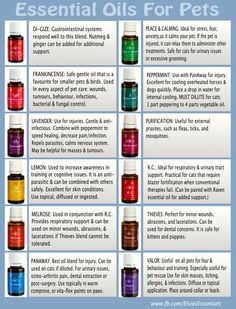 Young Living essentials oils specifically. On the way there we were discussing how hard it is to care for my Mom AND her dog and how nerve wracking it is for her to watch him shake her bed or the couch trying to rip off more skin. I never use allopathic medicine flippantly or as a first choice but we had even resorted to taking him to the vet for steroids and antibiotics, knowing that it would further compromise his already weak immune system. The steroids helped until he used them up and then he got much worse. He was frantic and so were we. 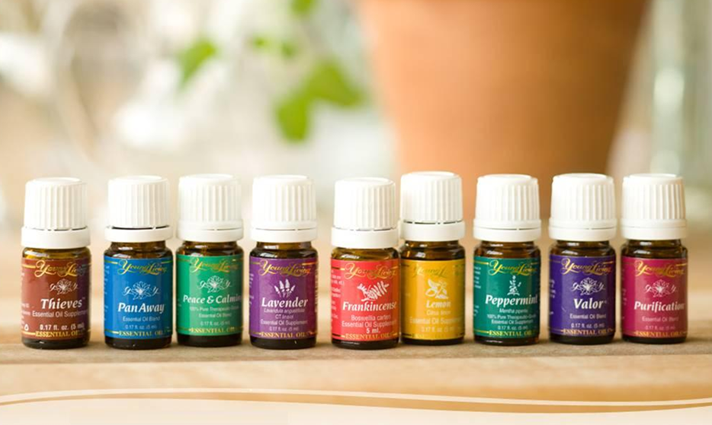 My friend Samantha recommended that I attend a Young Living class on Oily Pets and natural health care for pets using therapeutic grade essential oils. 2. Frankincense: mix Frankincense into a carrier oil (I use coconut oil) and apply to the wounds and bleeding areas. I keep this mixture in a little jar to use as needed. Frankincense is an amazing oil for healing skin issues and an immune booster. 8. Spray bottle of Lavender: Keep at hand for anytime in between treatments to spray him if he starts scratching again. Melissa suggested doing this protocol twice a day. Morning and night. 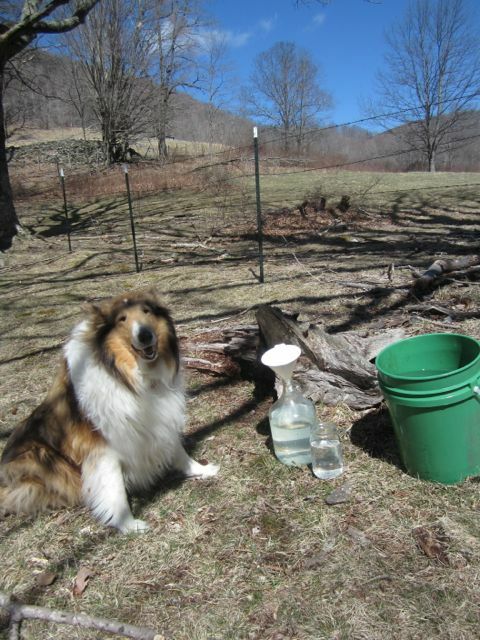 Ok… I can do this… My Young Living kit had just arrived so Cheryl and I went home and treated Chippy right away. Immediately, we could see him relax! We kept this oily protocol up faithfully, it only takes minutes to do. After 10 days this was the results. The Frankincense healed his sores so quickly! Chippy is a new dog. He is peaceful and totally chill. I feel so blessed. Now people can actually enjoy this great dog for his awesome personality and not be trying to get out of the same room! Chip also LOVES the hands on treatment being as he loves being petted and loved on. So we have a new beginning. I will still implement a holistic approach to healing, as is my m.o., but I will NEVER stop the oily protocol because it is effective, powerful and easy to do. I am deeply grateful for Young Living essential oils!! 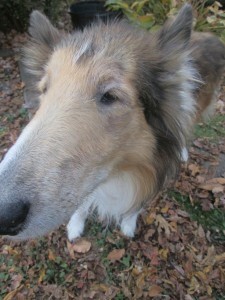 Here is another photo taken after 15 days of faithfully treating Chip twice a day. It take only 5 minutes to do and LOOK AT THE RESULTS! More pics of Chippy’s suffering in the past. We have spent thousands of dollars and lots of time trying to help him. It has not been an easy road. Look at how raw Chip shredded his skin. This is before I started making homemade dog food of venison, quinoa and sweet potatoes. He certainly has food allergies as well…. 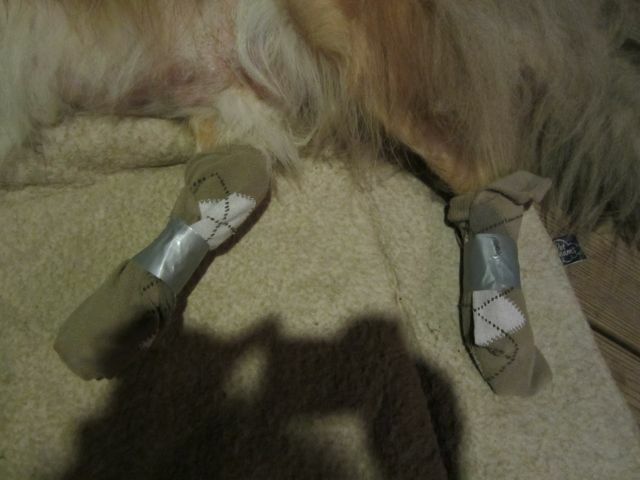 I taped socks on to his paws to keep him from scratching and ripping open his self inflicted wounds. 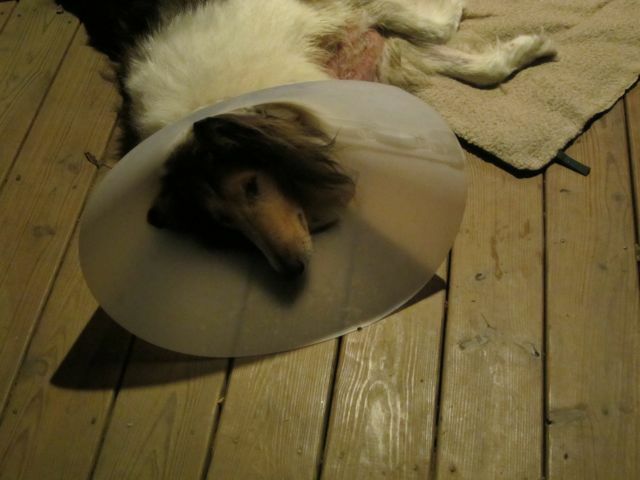 We put an Elizabethan collar on Chippy to keep him from biting his hot spots. Flea deterrent: combo of borax and DE. Begin in July. Reapply after baths. This seems to work better than flea collars and such. Bath: lots of 20 Mule Team Borax dissolved in warm water. You can even make a paste of it and scrub the skin with it. 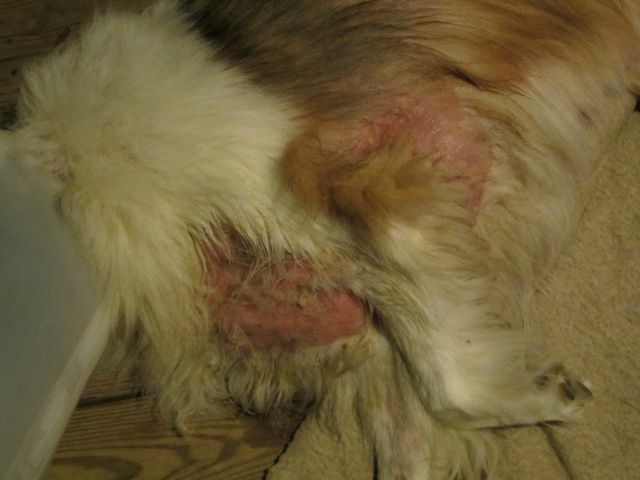 I recommend perhaps cutting some of the fur to make the skin more treatable. You can add a bottle of H2O2 to the water. If possible, leave the Borax water on the dog (do not rinse or dry it out) so to kill any moving parasites. After drying, rub coconut oil on the irritated skin. Aloe straight from the plant would be another option. I made him a fomentation of Yarrow and Rose and use this to wash his sores and his face with warm water. Oral: give 2 tablespoons of unfiltered apple cider vinegar + a pinch of Borax twice daily. (You could use a basting syringe) Adding 1/2 – 1 tsp of tumeric to this would also be a help and a pinch of cayenne to help with arthritis for Chippy. I made a tincture of Osha, Nettle, Chamomile, and Skullcap to take the edge off of his frayed nerves and histamine reactions. Not sure how often he gets it or even how often he should have it but it seems like it should be as frequently as possible. I put it in a gelatin capsule and feed it to him with coconut oil. He takes it readily. As I read through this protocol I am impressed with it’s wisdom, and also impressed with how much time it would take to make these things and do them for him. 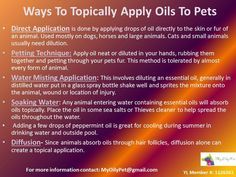 Oils are easier to apply and work faster than herbs. They are the immune system of the plant and have been a healing modality for centuries. I am glad to finally get that essential oils are not all created equal and they are not just to scent products. Powerful stuff! Here are some handouts that Melissa Boyce gave to us for Pet Care using Young Living therapeutic grade essential oils.